Can you be sure that your content is safe? IP expert Jason Tucker shares stories of stolen content, coming from his experience in intellectual property rights and enforcement. Learn how you can keep your content safe. If you are spending time and money to produce content, this show teaches you how to protect it! – How Jason moved from child acting to film production. – How Jason was able to pitch a reality tv show to VH1. – What Jason does to help companies protect their intellectual property rights. – What you can do to protect your content and intellectual property. – Jason’s litigation process to reach settlements in double-digit millions. – Why all content producers should be conscientious of intellectual property rights. – Jason’s predictions as to what will happen in the future of content theft. – How to get a free takedown notice template as a Live to Grind podcast listener! – Jason’s biggest takeaways from working with content producers. Jason Tucker is a successful intellectual property management and infringement enforcement expert with over ten years experience. In the past twelve months, he has settled over $100 million in claims for his clients. Jason got his start as a child actor featured in series like St. Elsewhere, The Jeffersons, and Little House on the Prairie. He also did music licensing for The Cosby Show before later moving into film production, pitching the VH1 American reality documentary Shooting Sizemore. Ten years ago, Jason created the IP management and enforcement company Battleship Stance after his own frustration with people pirating his content. Jason has been named in USA Today as one of the web’s most innovative and profitable entrepreneurs. 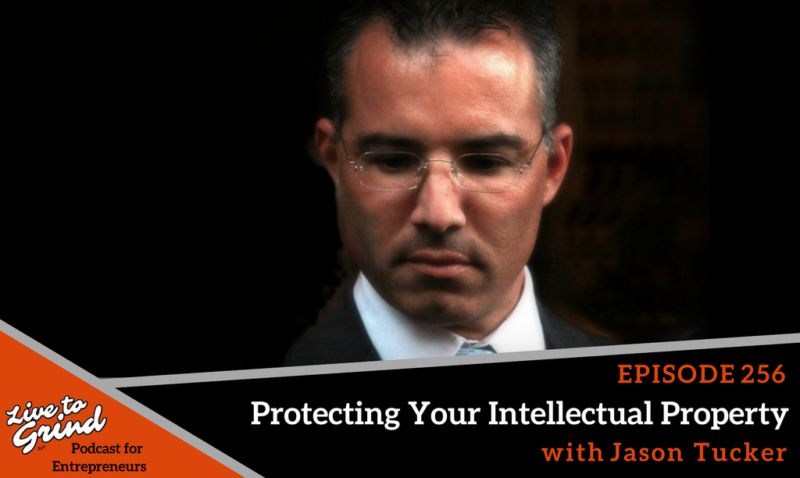 Check out Jason’s Intellectual Property HQ Academy’s e-course. Download a copy of the Takedown Notice Template – free to LTG podcast listeners! See the services Brandon and his team offer at Accelerant Media Group. Email Brandon if you have an idea for his podcast show. Snap Brandon! @btadams18 – Tell him your ideas and he will snap you back! Catch up with Brandon on Instagram and Facebook.